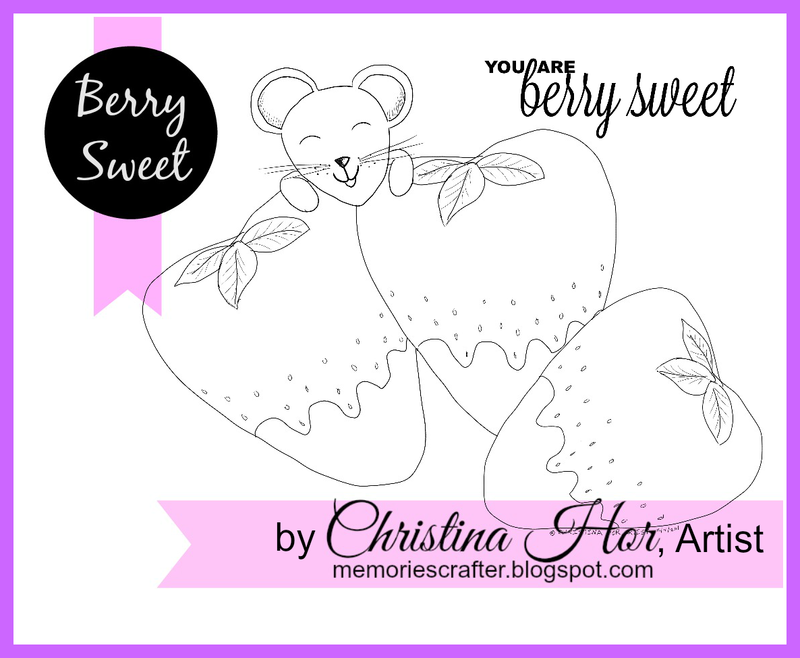 Outside the Box: A Sweet Freebie for You All! 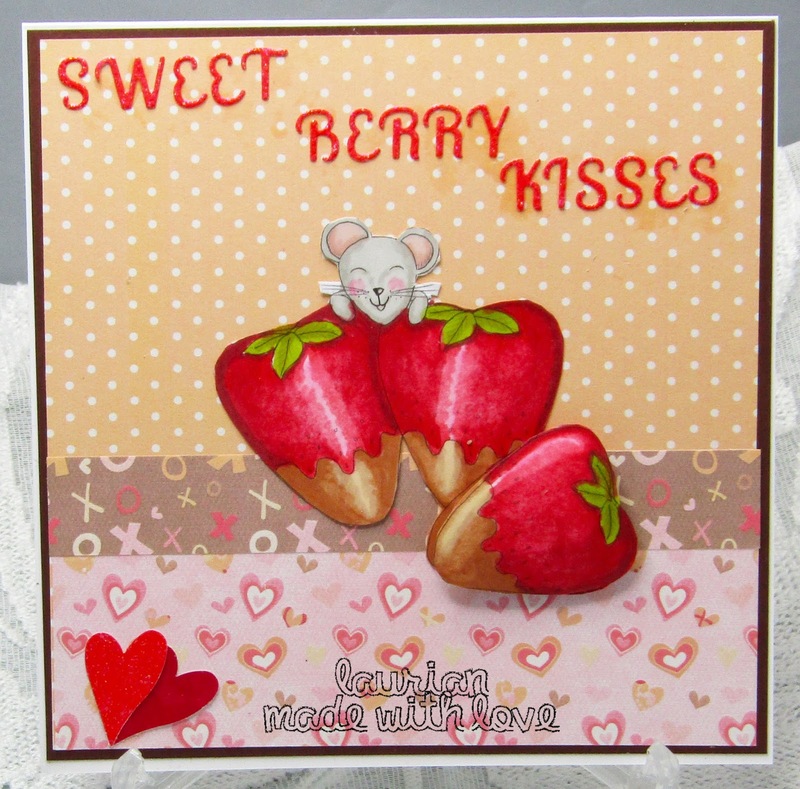 Today I would like to share a card I made featuring a beautiful digi that is free for the next 7 days over at the very talented Christina's blog. isn't that just the most adorable image! Don't forget to get your copy over at Christina's blog before it disappears! I coloured the image using Promarkers and popped up the front strawberry. The papers are from Nit Wits Collections, they have an incredible range of downloadable papers! 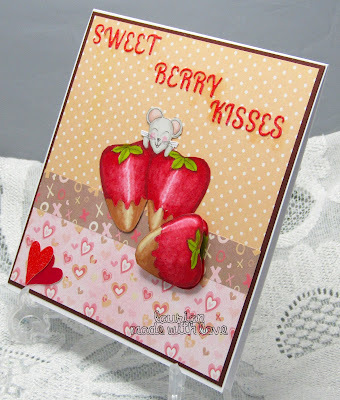 I used a Tattered Lace Alphabet die for the sentiment that was cut from some berry coloured glitter card and to finish I added some punched hearts! 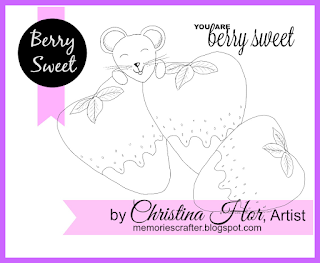 I hope you like what I did with Christina's gorgeous digi and I hope you will pop over to her blog and check out her fabulous work! Hi Laurian! Your card is so stunning! I truly love how you colored the little mouse and you made my jaw drop with the coloring of the strawberries! Those pattern papers also add a beautiful finishing touch to the card and image. Thanks so much again for everything Laurian! Hugs.